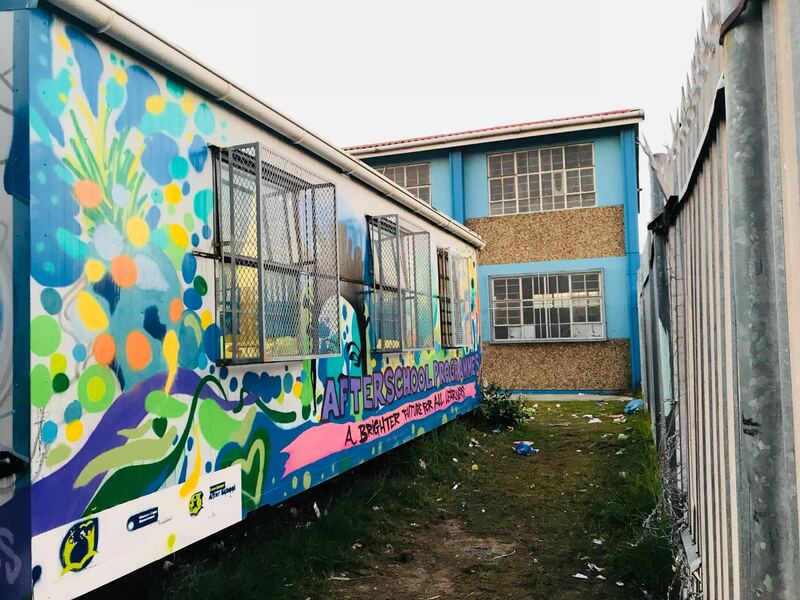 On the 4th May 2018, BAZ-ART was privileged to embark on an educational exchange through collaboration with the Western Cape Government to provide school workshops on the power of public art. The workshop was facilitated by Rizah also known as Prefix66 for a group of previously disadvantaged learners from Heideveld Secondary School. It was used to bring awareness to the Western Cape Government’s new after schools programmes, “The Afterschool Game Changer” and “Year Beyond”. Rizah’s life epitomizes what the involvement in the arts can do for one’s life. He himself has been sketching since the age of nine years in Mitchell’s Plain where he was first exposed to the art of graffiti. He has tried different styles and techniques but tries to not overly define his style because he is always “flipping the script” with the intention to connect and resonate with many different types of people. 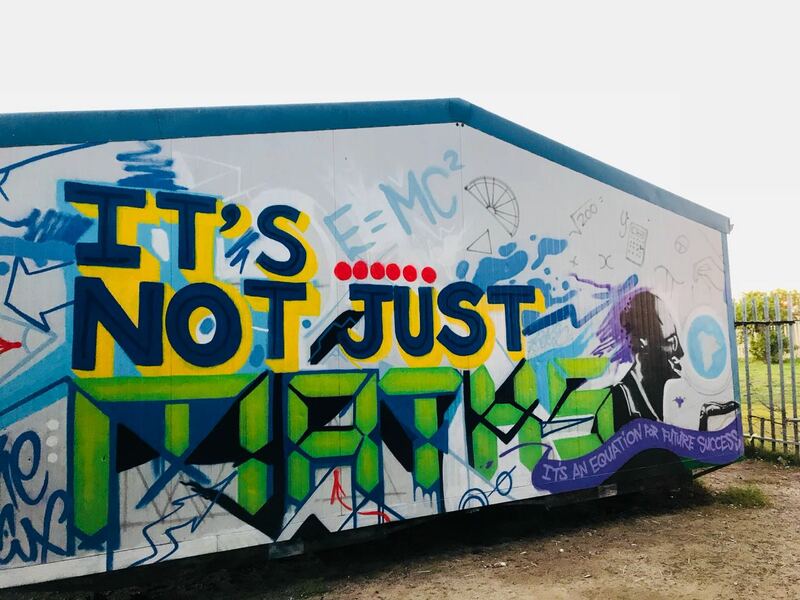 He grew up in the late 90’s Hip-Hop scene and was fortunate to have been exposed to and learn from over fifty graffiti artists in his hometown alone. Now, he is inspired to pay it forward to those, like him who needed to believe that there was more to life and that dreams do come true. The “Afterschool Game Changer” is a strategic project of the Western Cape Government aimed at providing comprehensive quality afterschool programmes to learners in low or no fees schools so that they can have the same opportunities as that of middle class schools. One of the Western Cape Government’s priority programmes is to expand quality after-school programmes in the province. There are far too many children leaving school each day and entering unsafe, violent neighbourhoods and homes with no adult supervision. Their aim is to provide over 112 000 learners from no-fee schools with access to safe, quality after-school programmes by 2019. The programmes offered fall under four pillars: Sport & Recreation, Academic Support (including eLearning), Arts & Culture and Life Skills. Home life plays a key role in learning and it is not secret that children whose families live in poverty and in violent communities often lack the resources and infrastructure to support their learning. The After school project is based on the premise that regular and consistent participation of learners in afterschool programmes will improve learner outcomes, reduce school dropout rates and reduce risk taking behaviour. The “Year Beyond” after school academic support programme runs in 21 schools in Cape Town. The programme is aimed at primary school grades 1-4 and high schools grades 8-12. There are around 120 volunteers that volunteer in the afternoons to 100 learners per school. 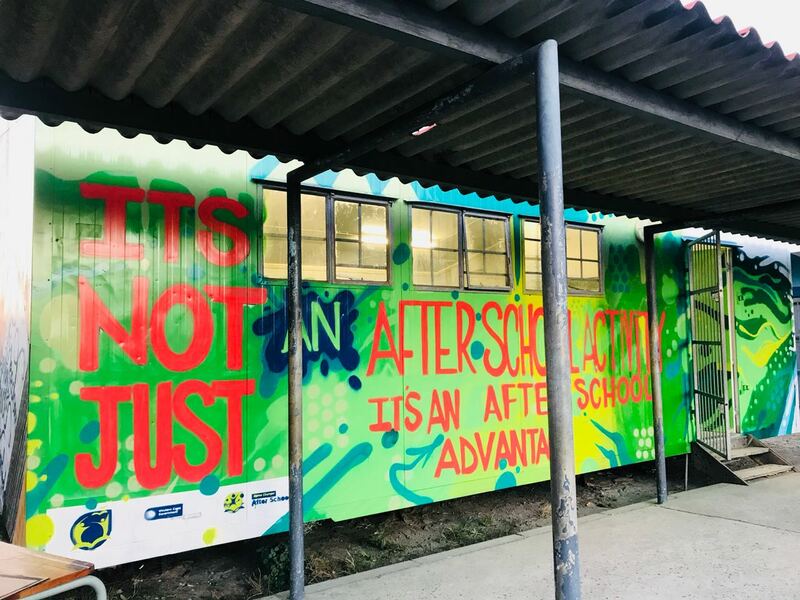 At Heideveld Secondary School, The After School Game Changer and the Year Beyond teams have come together to create an activation with learners and local artists to make the space something that learners can get excited about and really feel that they can make their own. 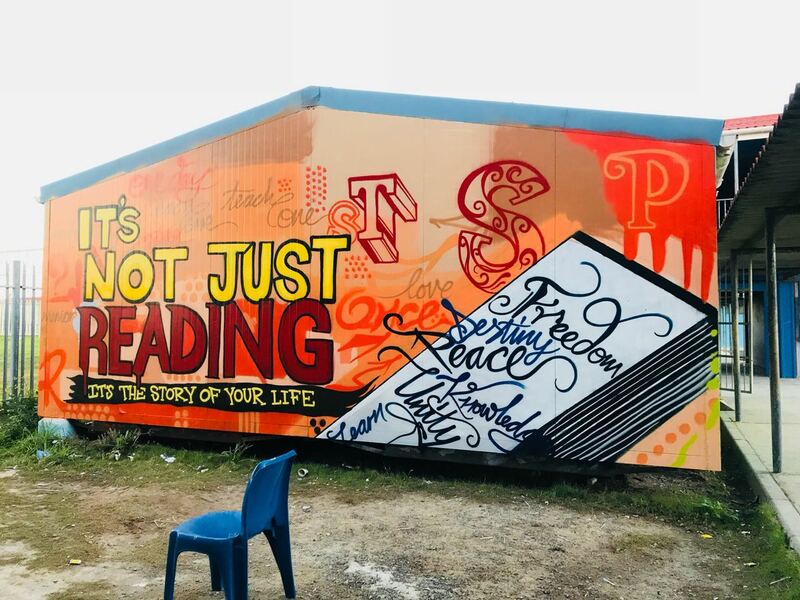 Through this activation, we hope that the murals left behind, leaves an imprint in the minds of scholars concerning how small consistent efforts contributes to the accumulative advantage needed to succeed in life and hope for a better future!